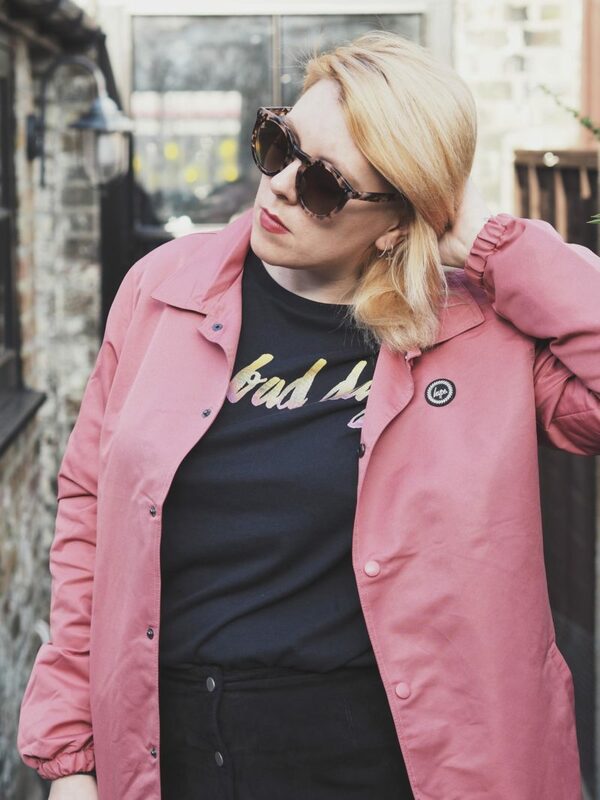 Streetwear brands are a firm figure in our fashion industry but one always stands out for me and one always makes me feel confident whenever I wear their garments. 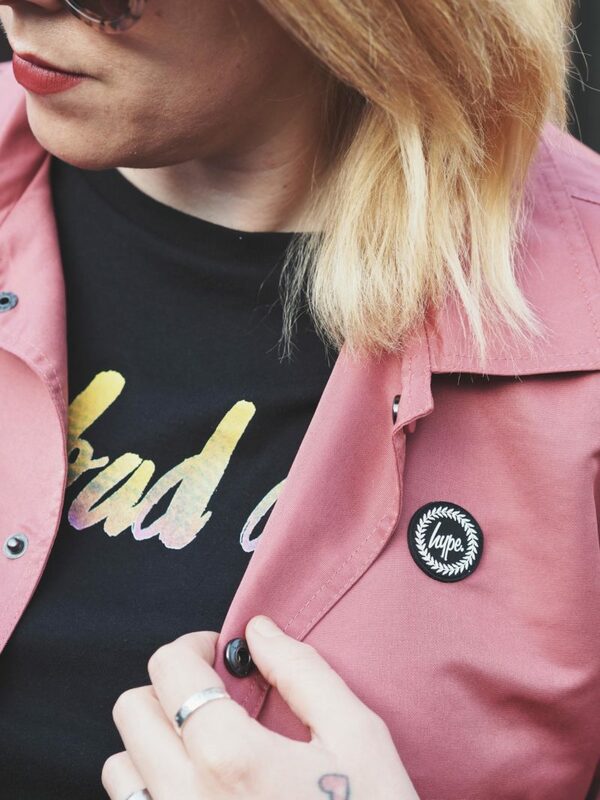 Just Hype, have been making waves these last few years and with Children’s wear, staple backpacks and collaborations, the brand are going from strength to strength and showing all of us that streetwear is here to stay. 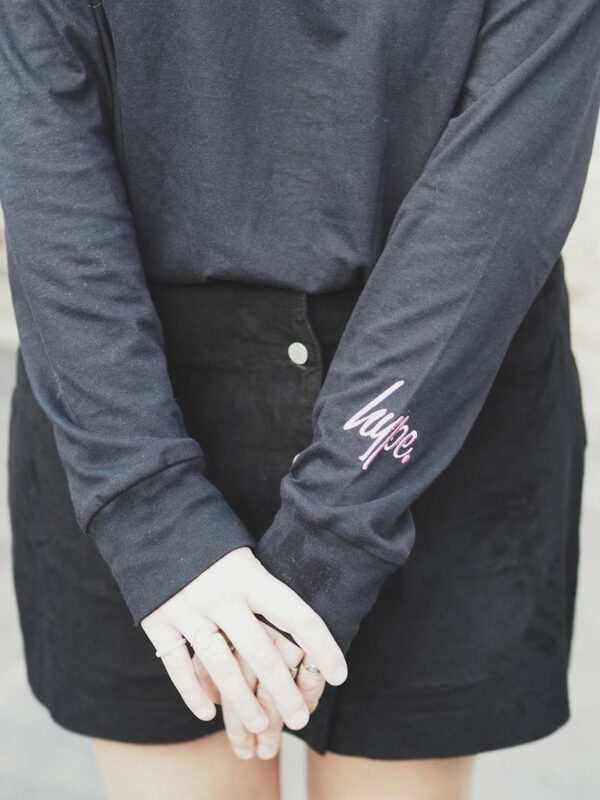 As I love mixing styles of clothing with each other and after scouting Just Hype’s website, I wanted to style up some of their pieces to show just how versatile they really are. 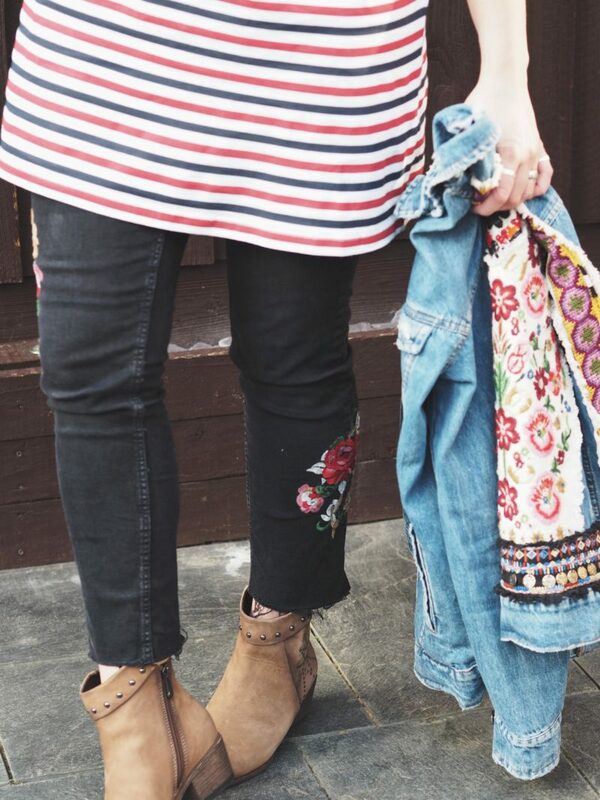 T-shirt dresses are the best to layer up and play around with! 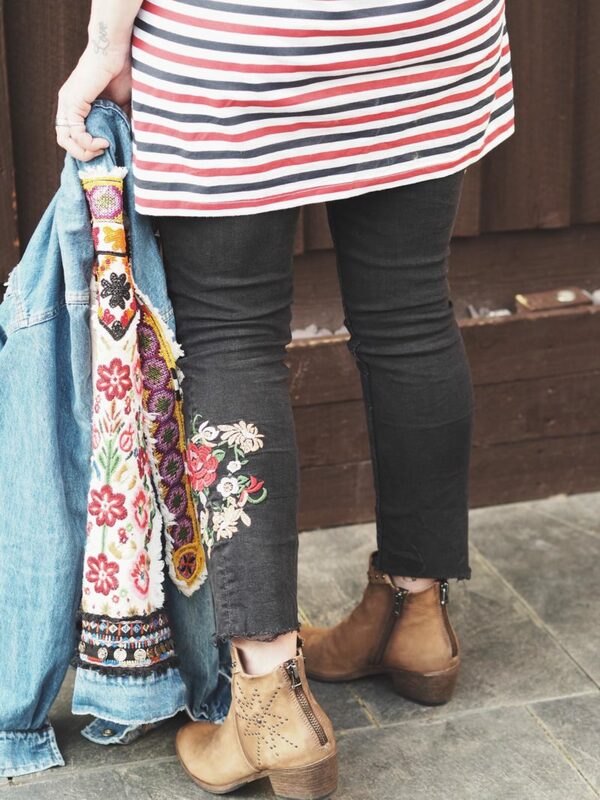 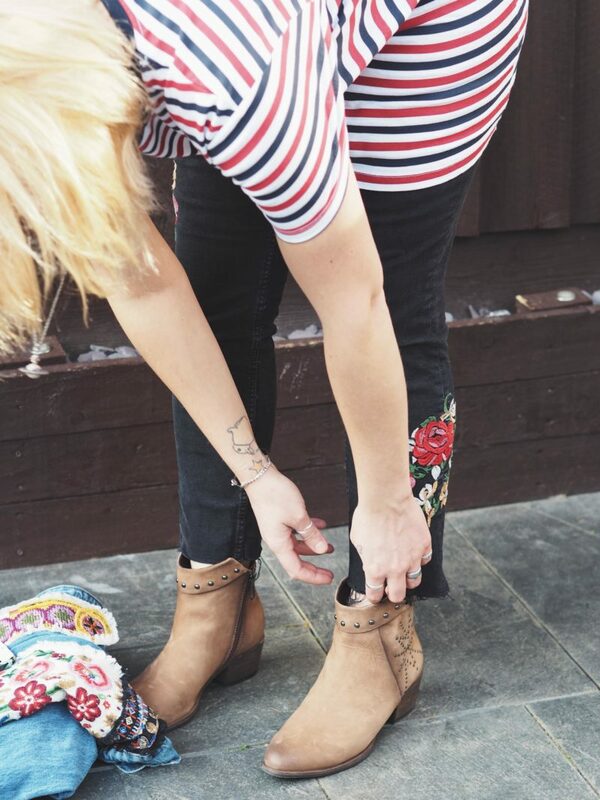 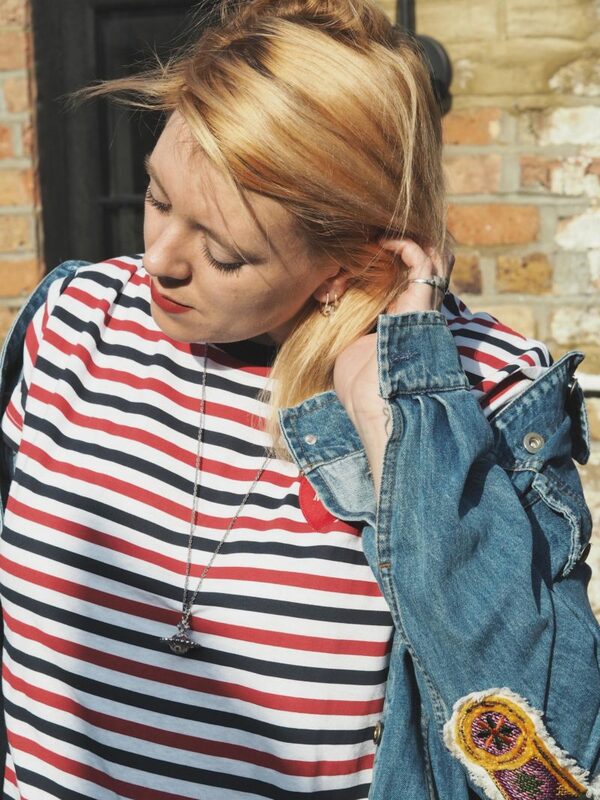 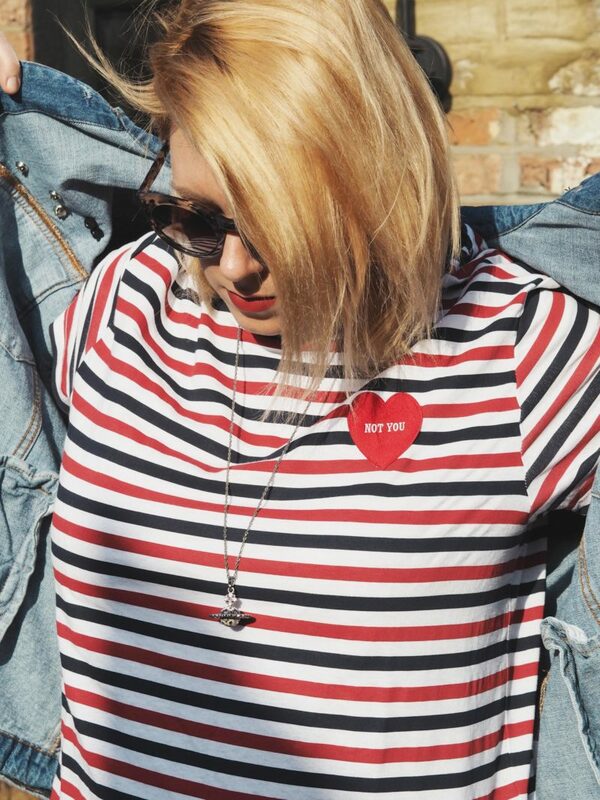 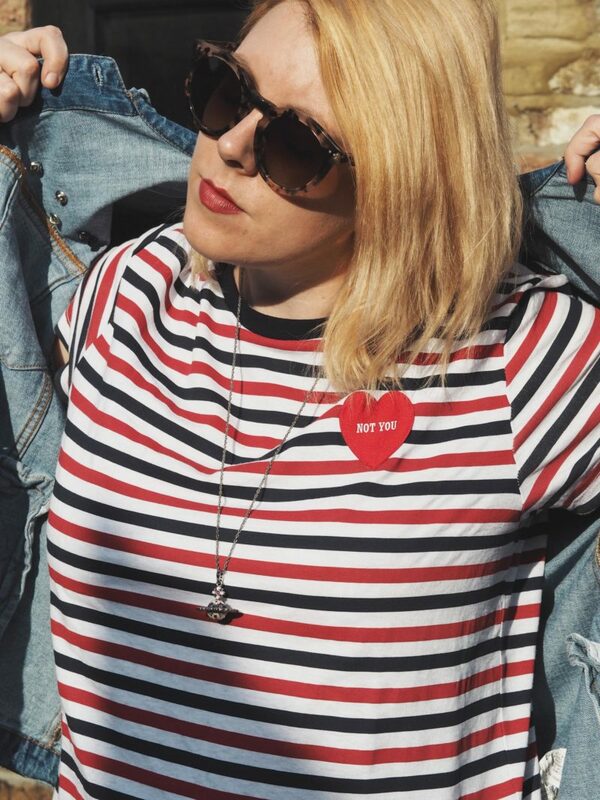 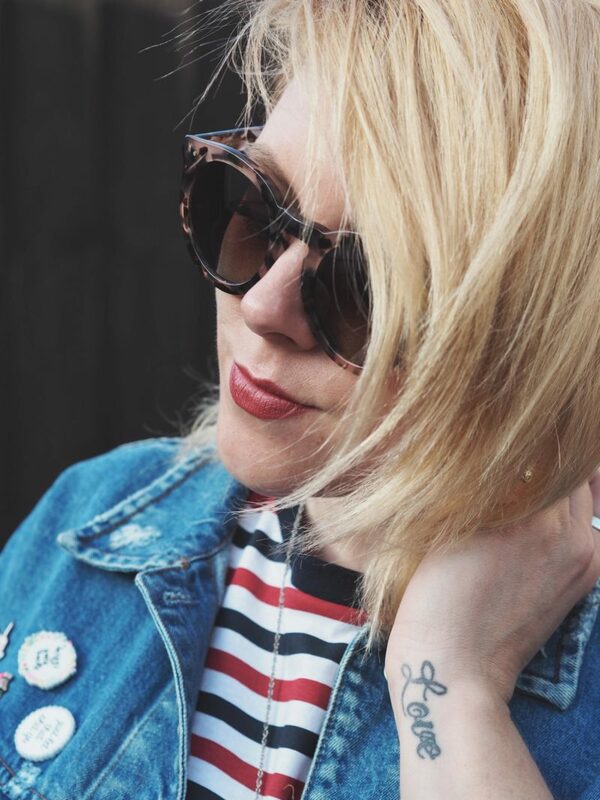 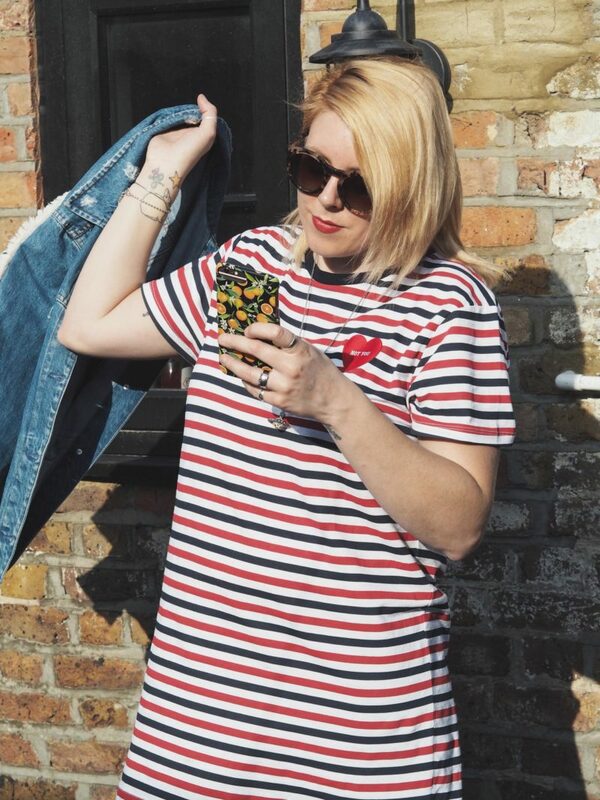 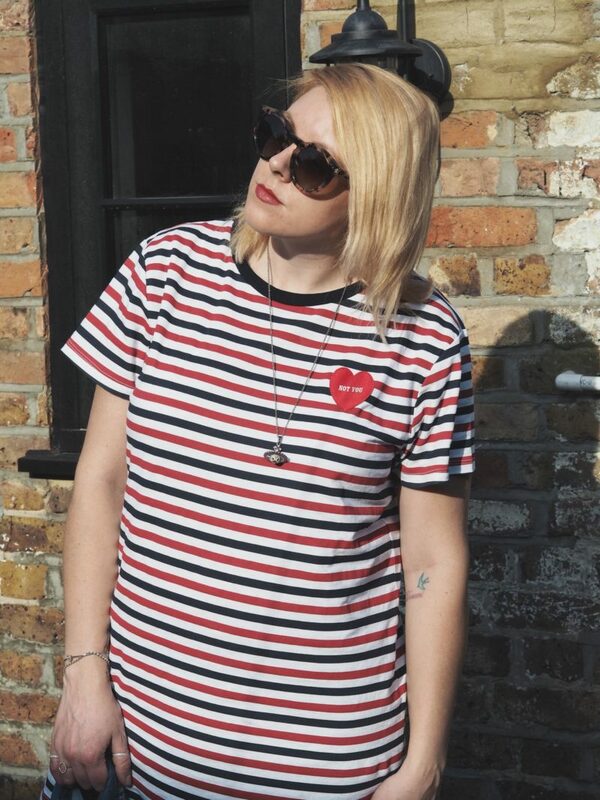 Whether you wear them on their own, over leggings or with jeans or as a skirt, these dresses are really fun and I love this stripe ‘Not You’ one I am wearing here. 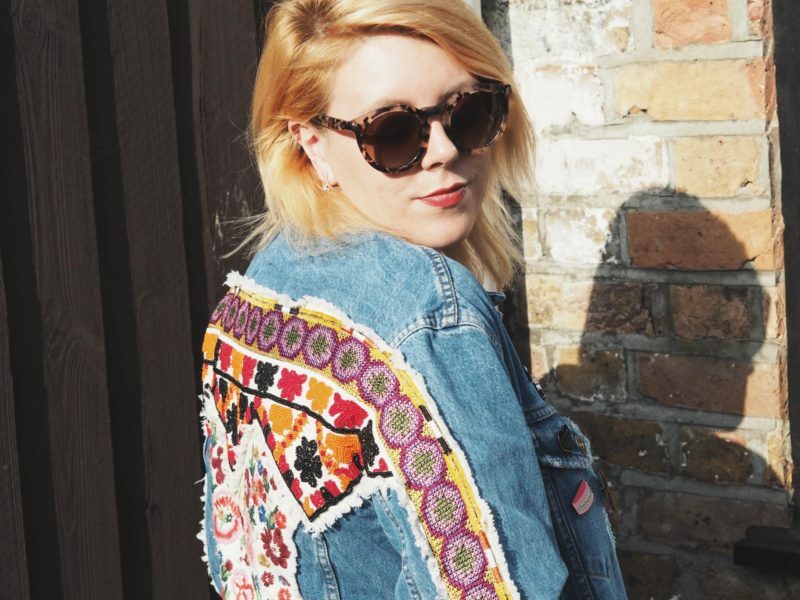 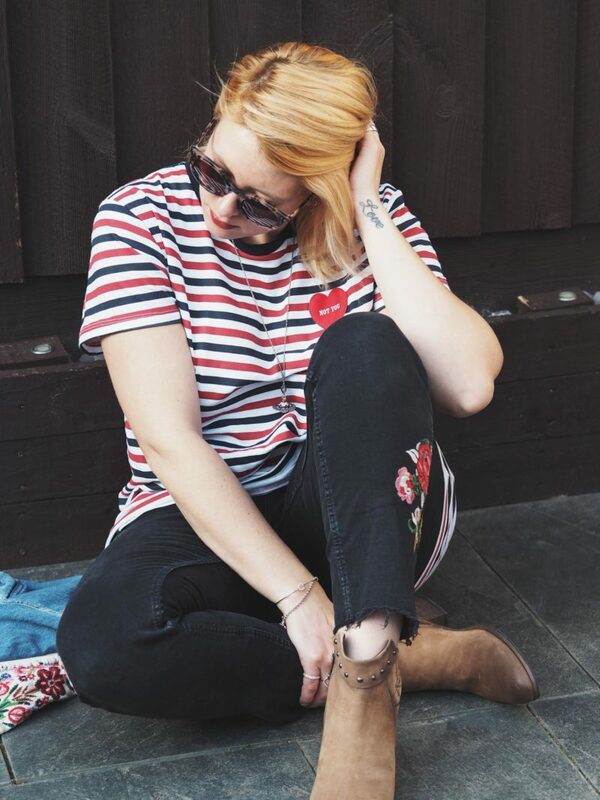 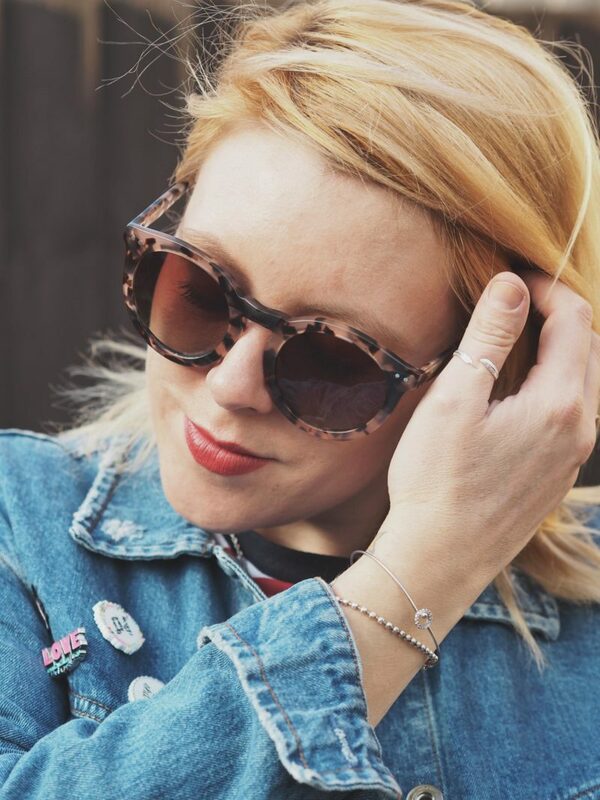 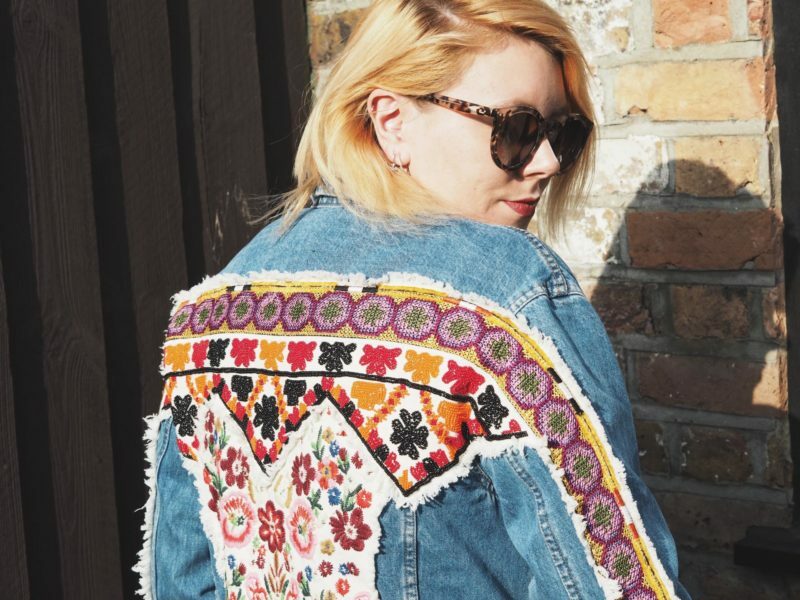 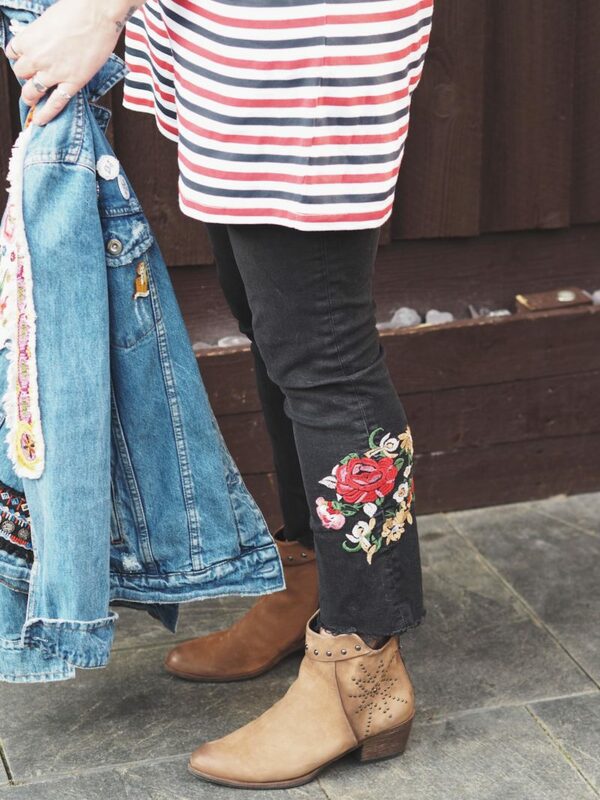 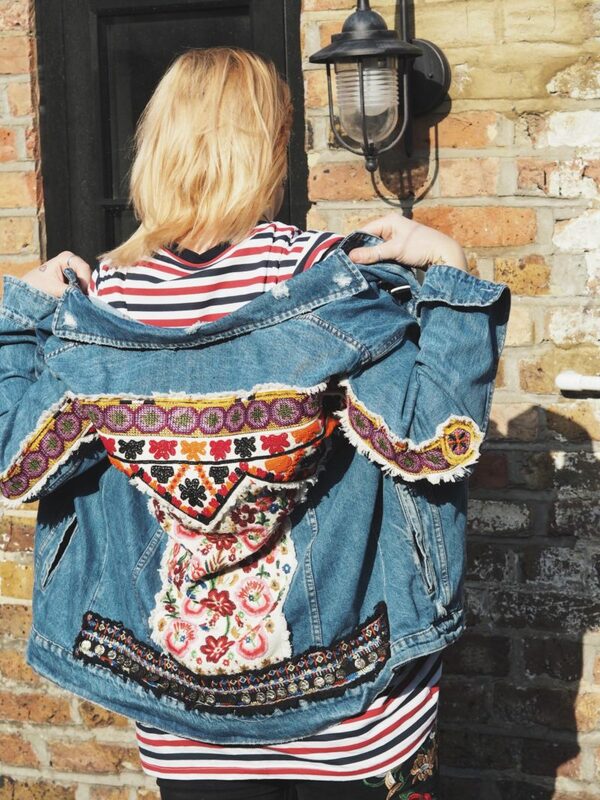 It looks perfect with beaten up denim, these retro sunnies and Marco Tozzi boots. 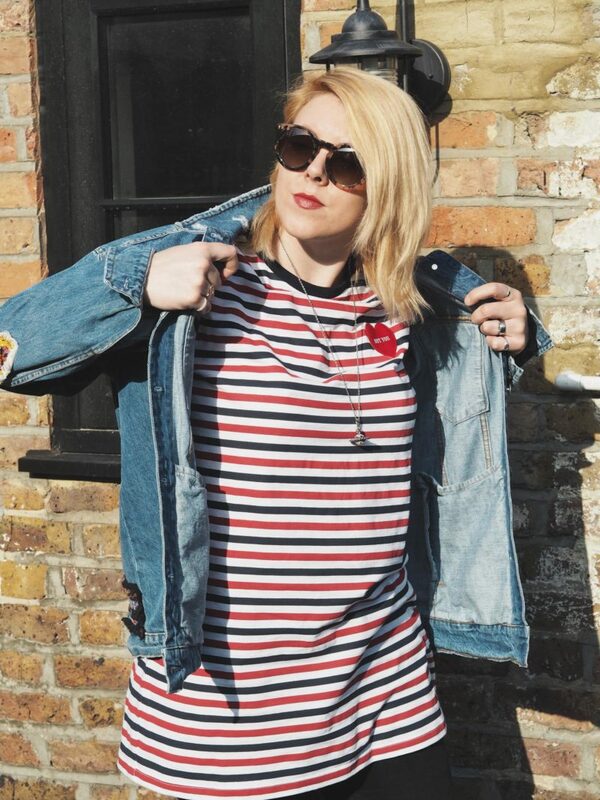 It has a rather cool, CUTE factor also which gives my look some dimension and fun of course. 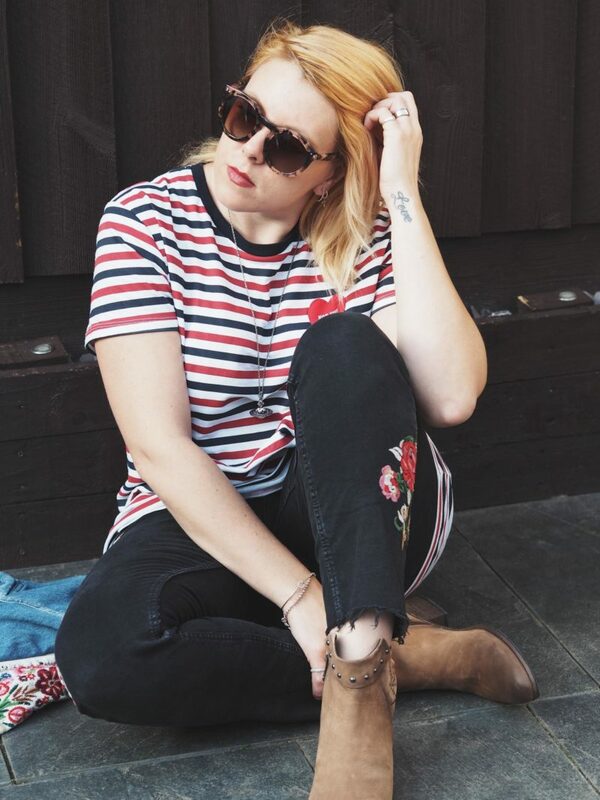 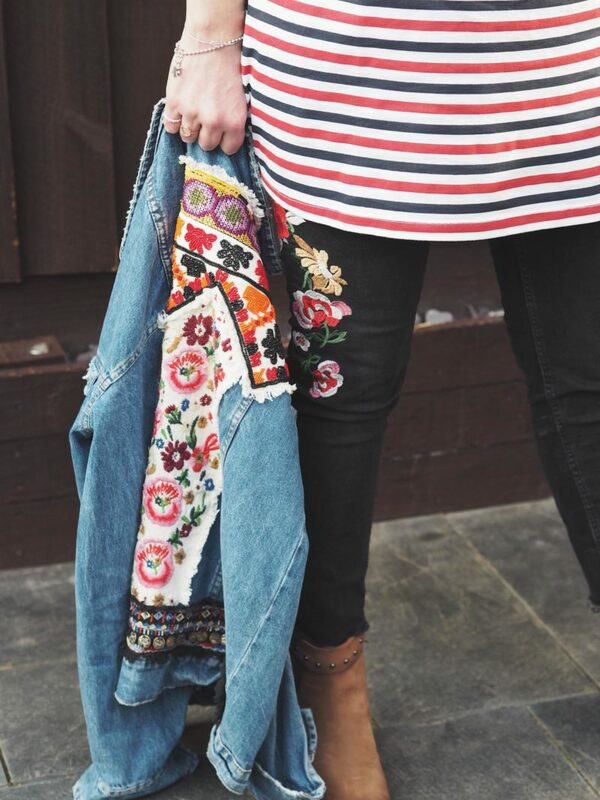 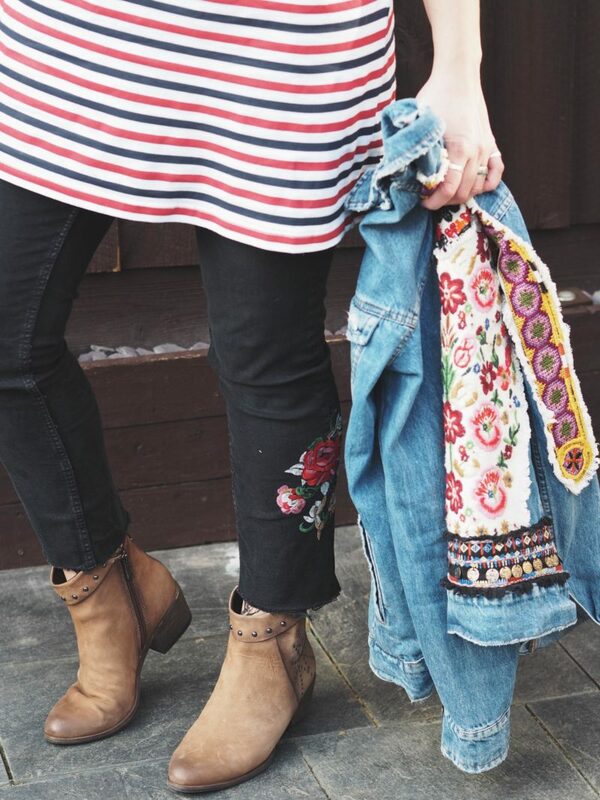 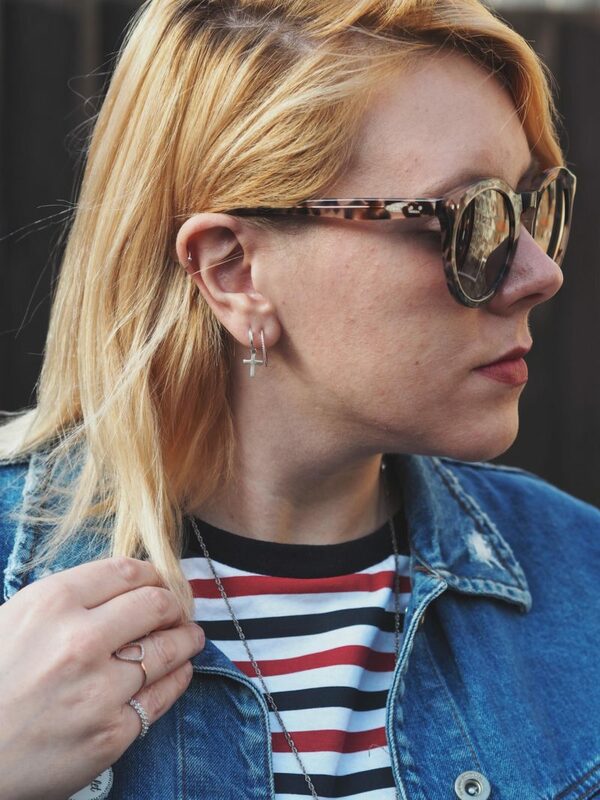 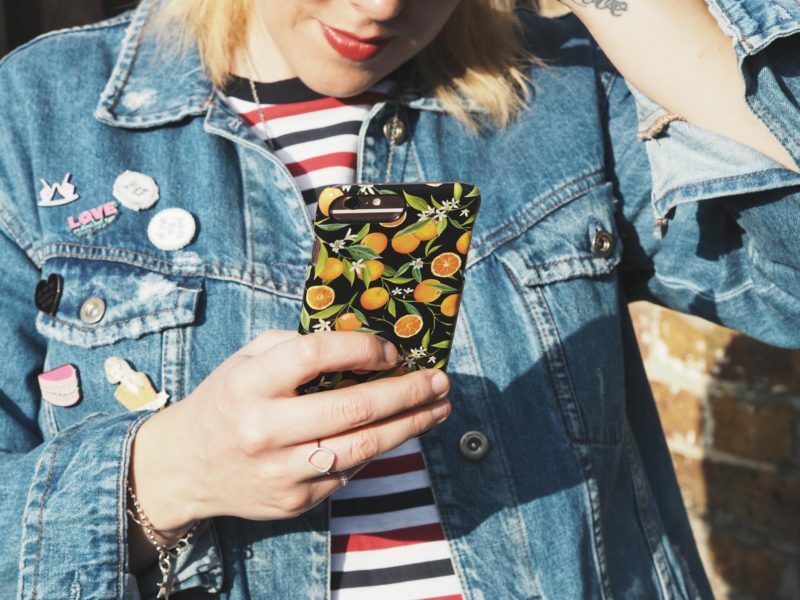 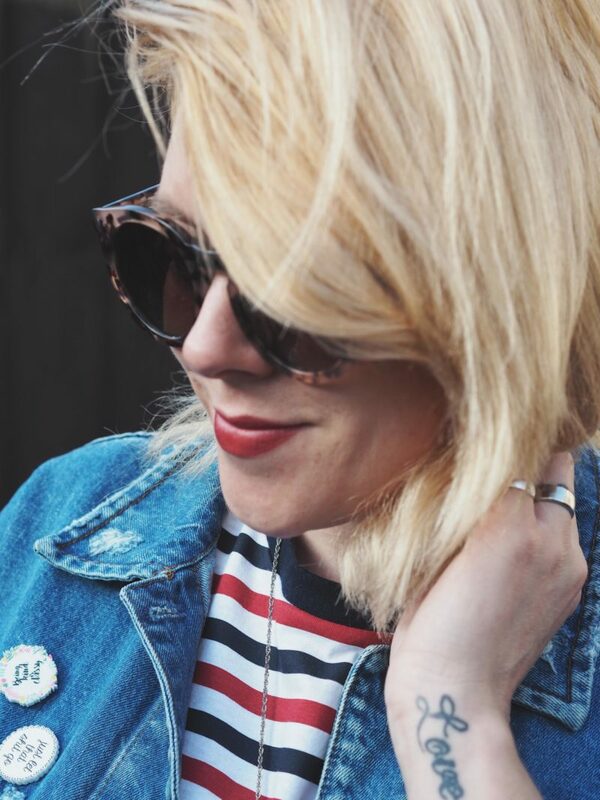 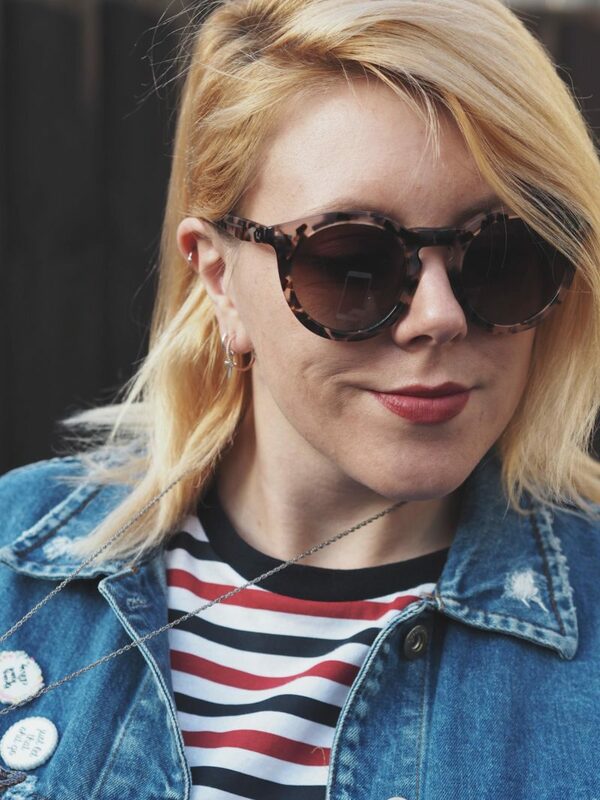 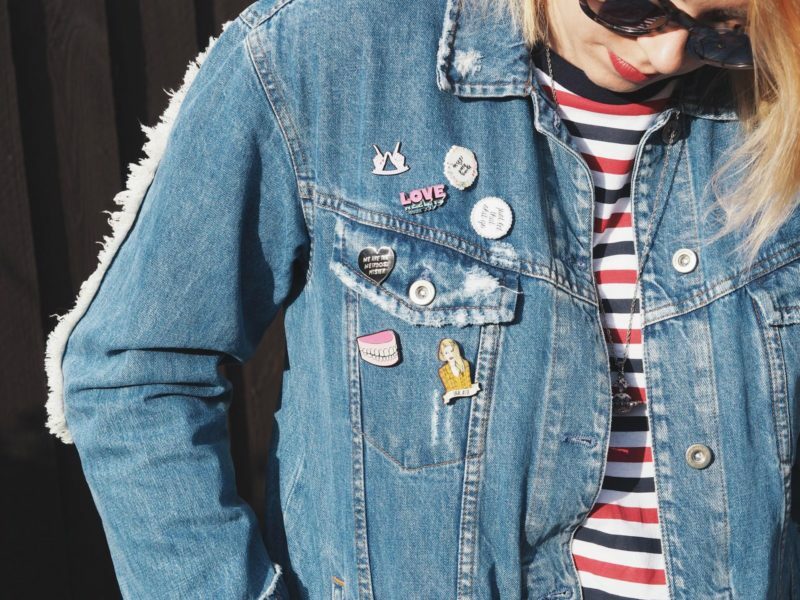 Denim Jacket – Zara, Stripe T-Shirt Dress – Just Hype, Jeans – Zara, Boots – Marco Tozzi, Sunglasses – Bailey Nelson, Hoop earrings – Accessorize, Circle ring – Accessorize. 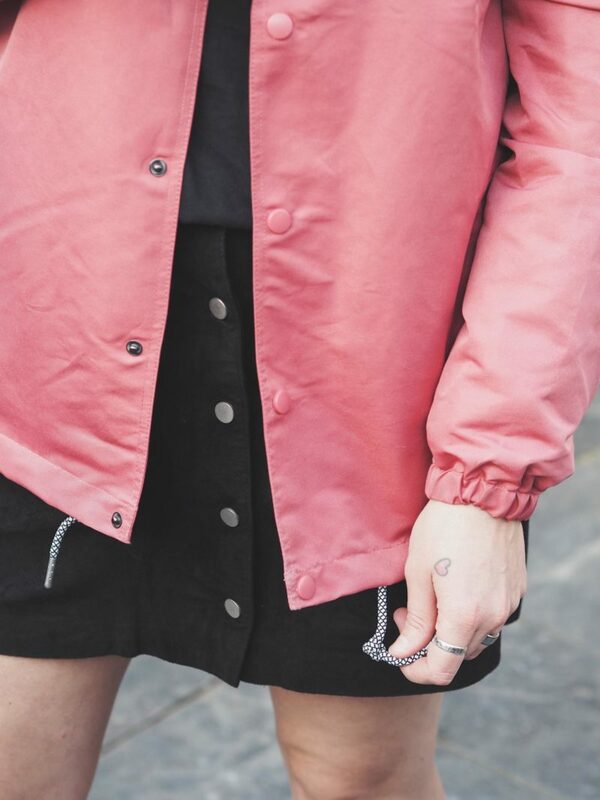 As well as some great womenswear options, Just Hype’s men’s options are pretty ace too. 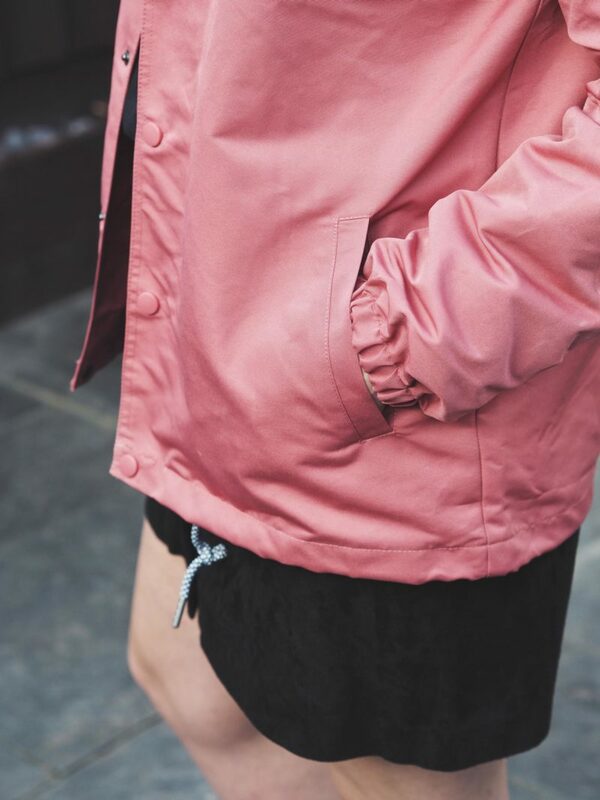 As I am a firm believer in wearing whatever I want no matter who it is ‘made’ for, I really wanted to try out this great Salmon jacket which is one for the boys. 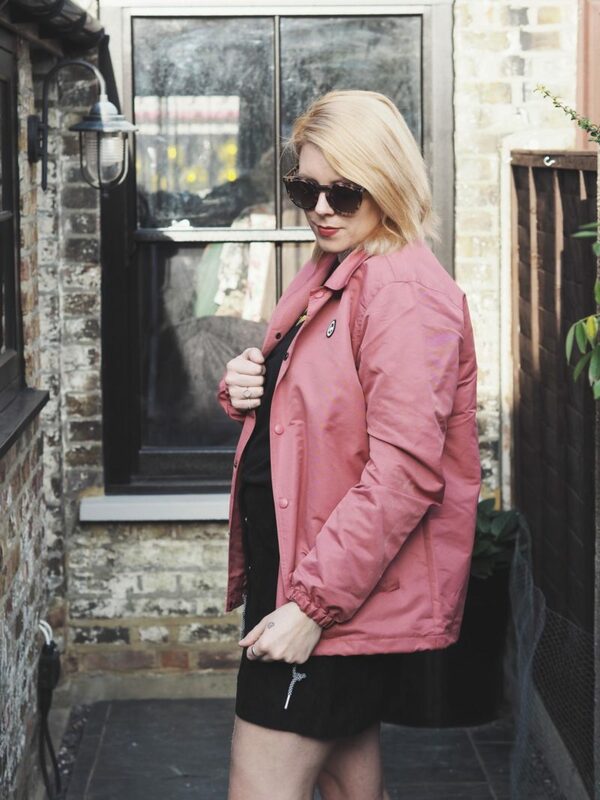 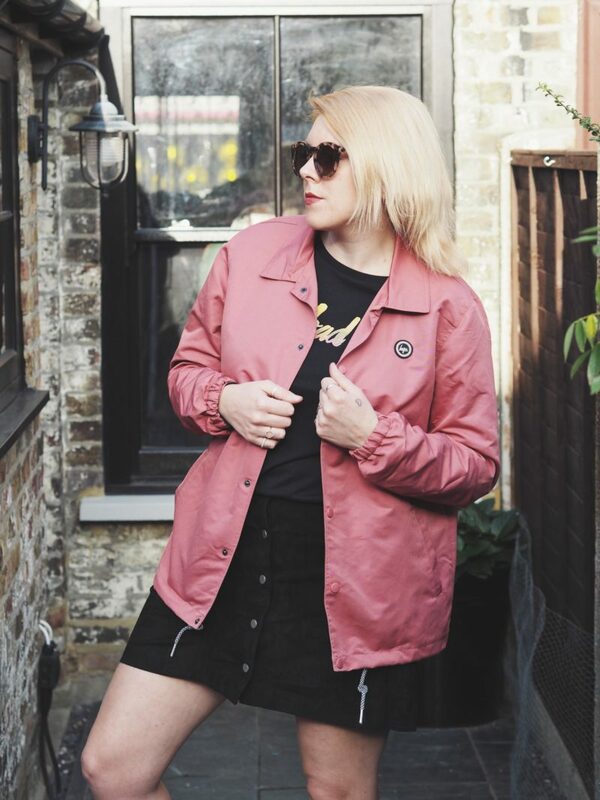 Cut straight with fitted cuffs and a relaxed feel, this jacket is perfect for brightening up any outfit and it’s great for keeping out the chill. 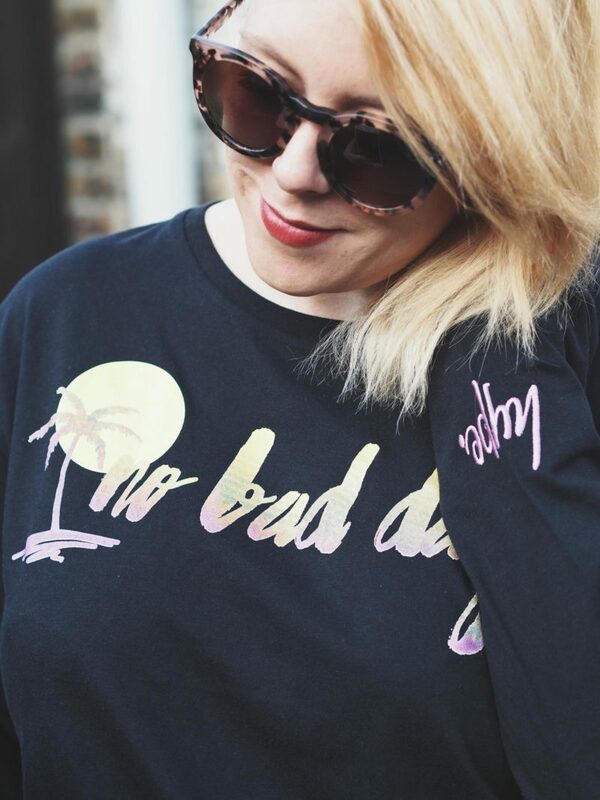 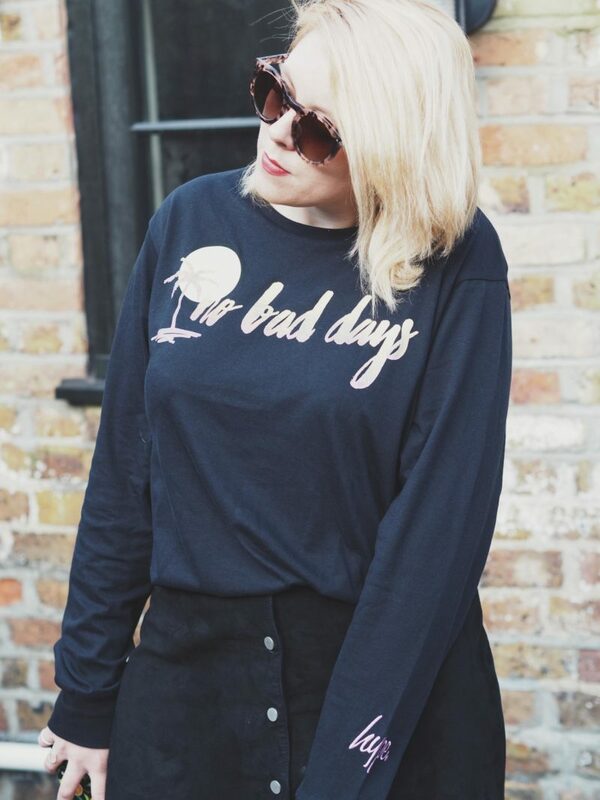 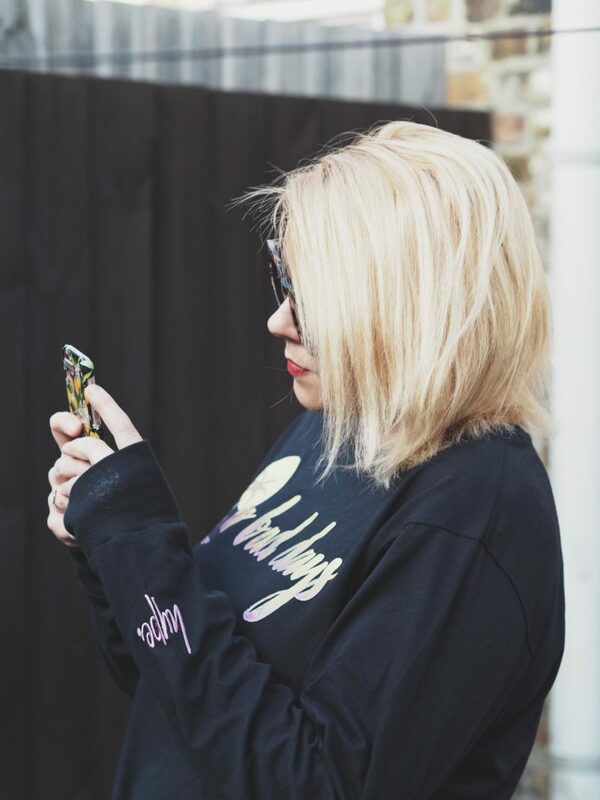 I also wanted to show you guys this ‘No bad days’ long sleeve tee which I swear is my new favourite t-shirt shape to wear now and would look effortlessly cute with flare jeans and retro Vans or Converse. 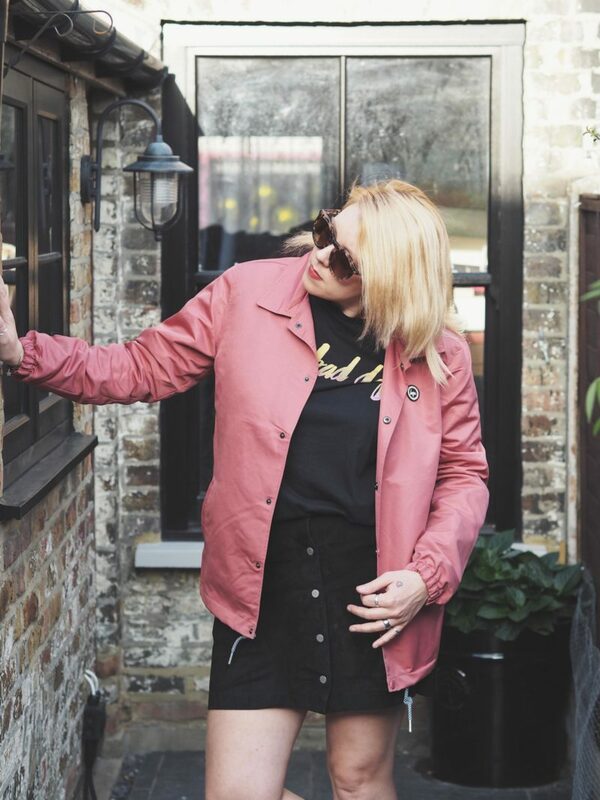 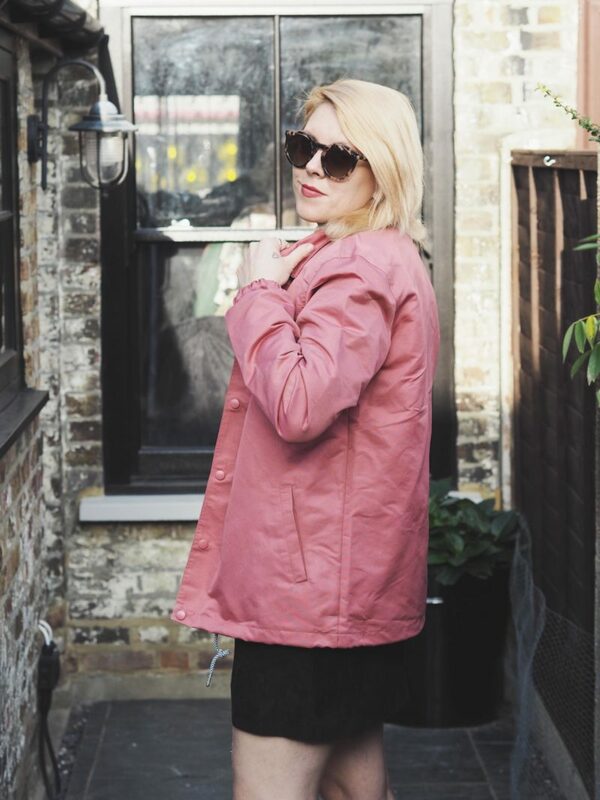 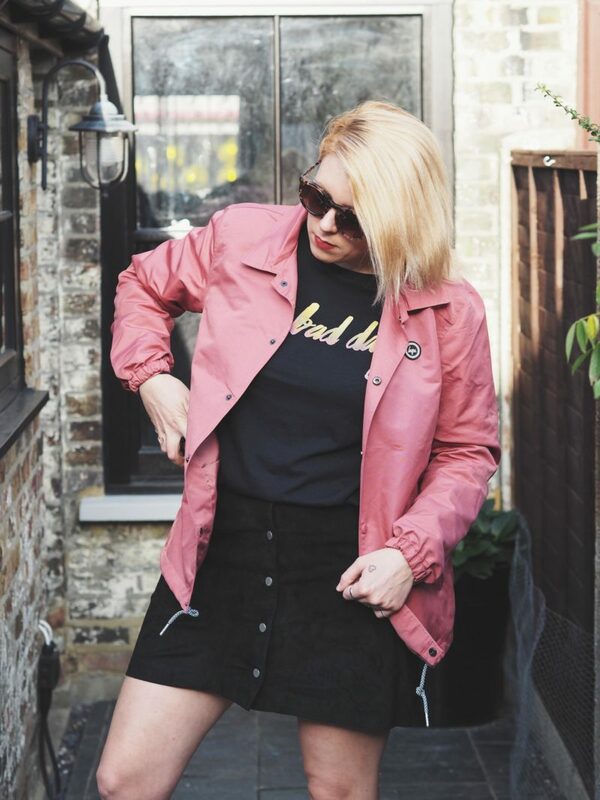 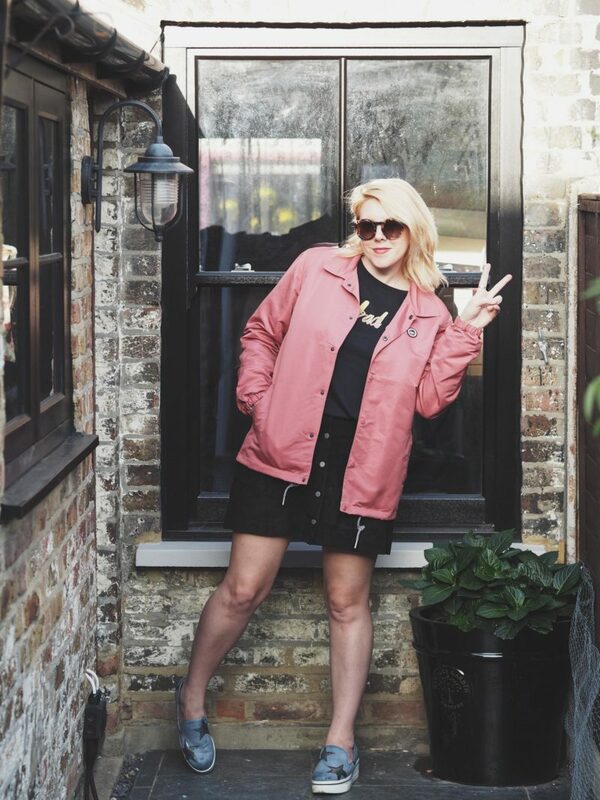 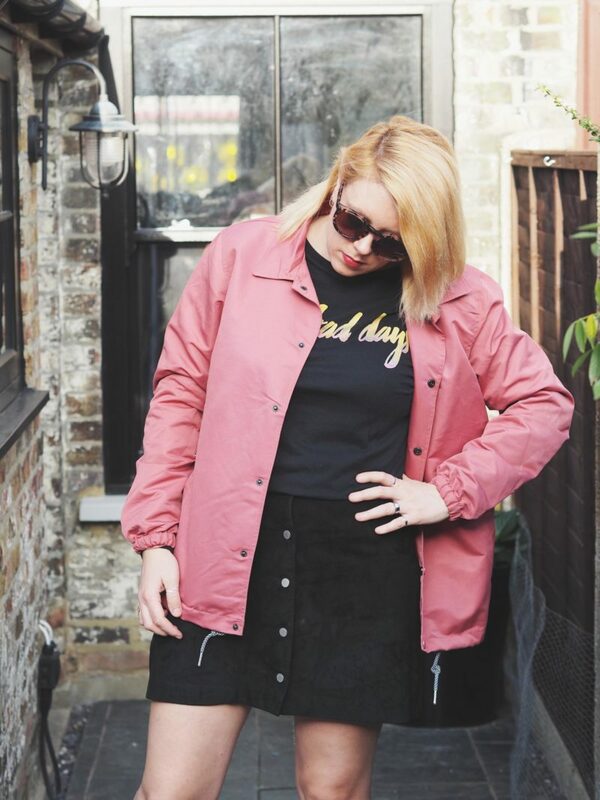 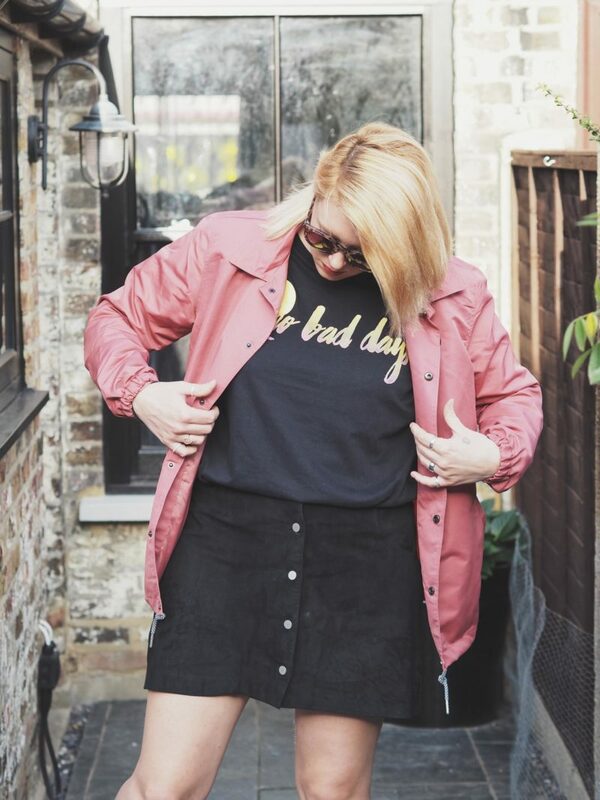 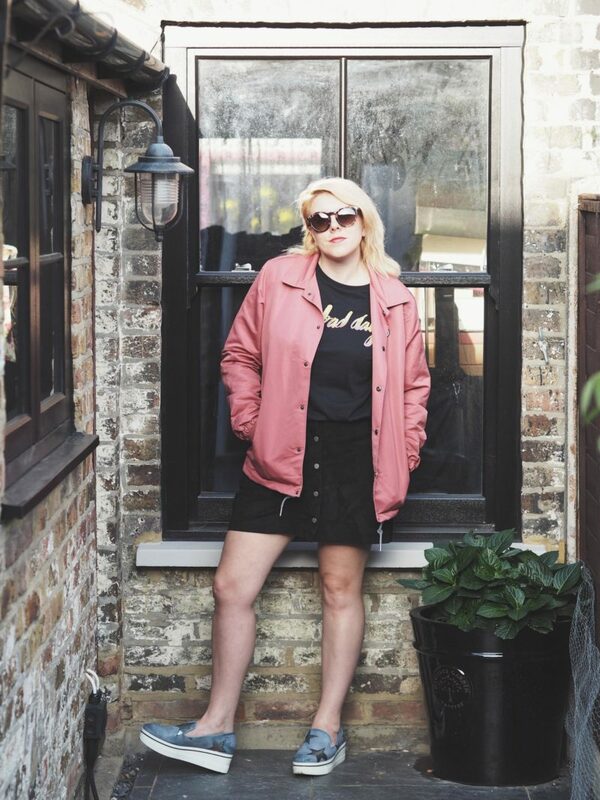 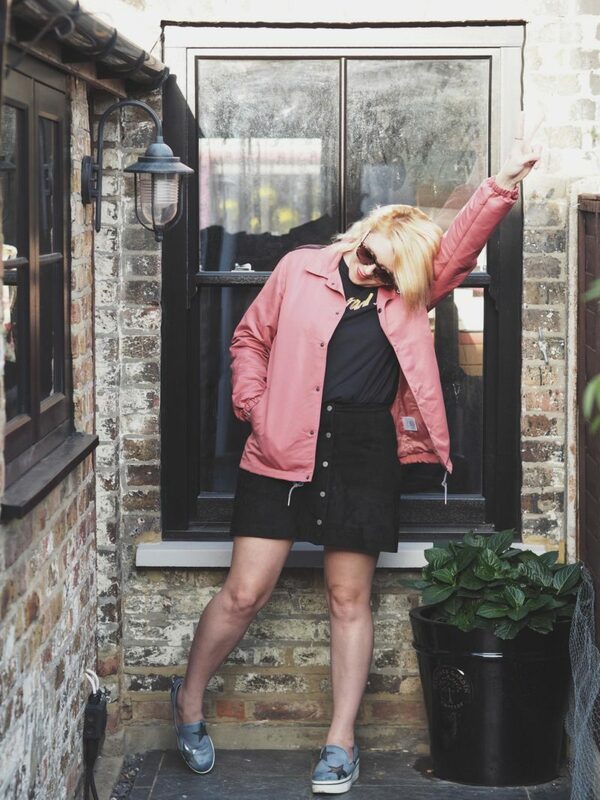 Jacket – Just Hype, T-shirt – Just Hype, Skirt – New Look, Shoes – Stella McCartney, Sunglasses – Bailey Nelsen.